It was 5 years ago this month that L&P visited Myanmar. Sadly, I lost most of my photos of that wonderful trip along with the USB that they were stored in. The only remaining ones are 5 that I posted on my private Facebook page, which are the ones I'm using for this post. My friends and I rendez-vous-ed in Bangkok a day before flying to Yangon. All my photos of Yangon are gone, I'm sorry to say, including numerous shots of the Shwedagon pagoda. 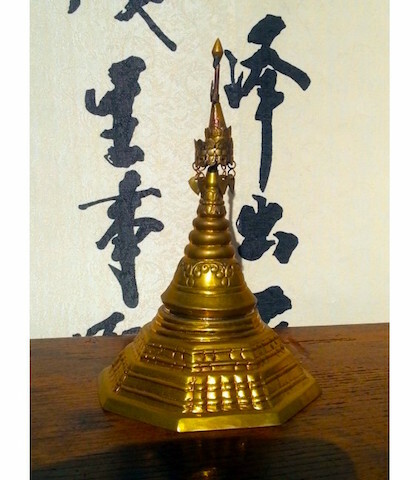 Fortunately, I do have my little brass replica of that stunning stupa. 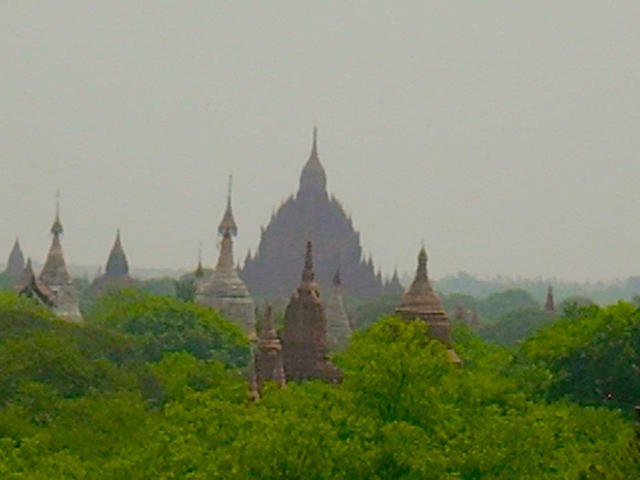 From Yangon we flew to Bagan, where we spent several days exploring the myriad temples of that vast ruined city. And it is truly vast, larger even than Angkor, we were told. I snapped the photo below from one temple while looking out to the dozens of others visible in the haze of midday. As the scale of the stupa in the middle distance indicates, some of the temples are truly monumental. 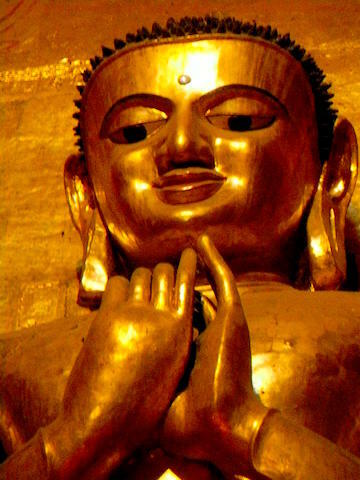 They also contain some monumental Buddha images, like the one below. Depending on the angle you look at him from, this Buddha is either smiling or not. My photo unfortunately doesn't give a sense of his size. If a guesstimate from memory will serve, I think he was at least 8-10m high. Bypassing Mandalay -- which I definitely want to visit in future -- we proceeded by bus to the former British hill station of Kalaw on the southwestern edge of the Shan State. Again, no photos. 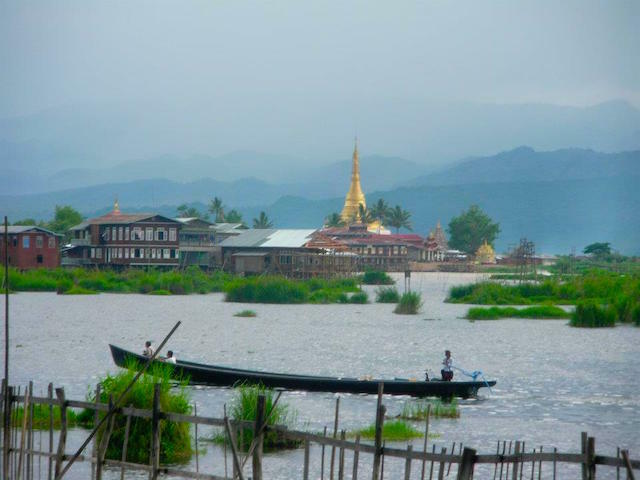 We hired a guide for a 2-night trek to Inle Lake. Our first stop was for lunch at a Tamil-owned tea plantation. 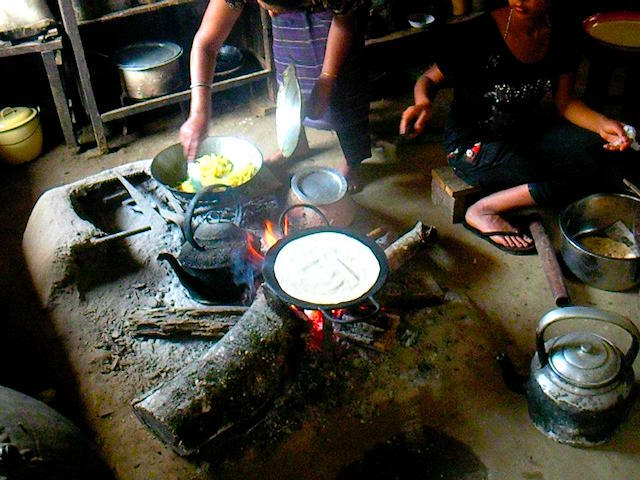 My only surviving photo from this spectacular hill-top location is of our meal being prepared in an old-school kitchen. That's chapatti on the griddle, with a potato and cauliflower curry being stirred behind. Those two things were the whole meal, along with a chutney or two. Simple, yet incredibly filling. We spent the first night in a village house somewhere along the way and then the second night at a hill-top Buddhist temple. Once again my only surviving photo is of our meal. I'm on the left. On the right is my friend the actress Andrea McCannon, soon to be seen in the independent Australian thriller The Rip. That's her good man Andrew Reilly in the middle. 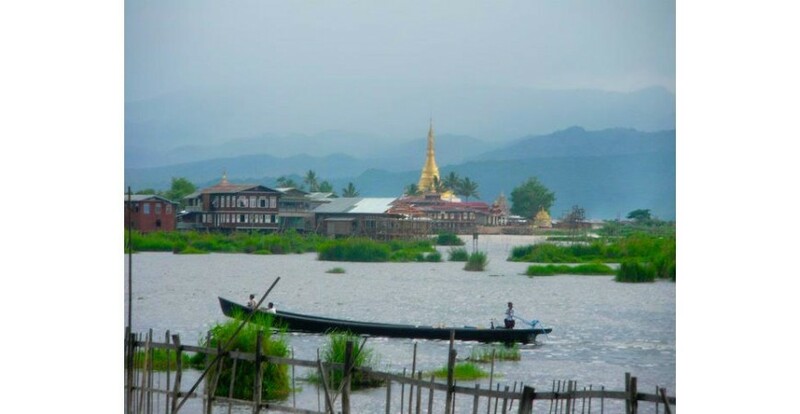 The terminus of our trek was Nyaungshwe, on the shore of Inle Lake. I opted to separate from my friends for a night and splurged on a luxurious cabin at the Golden Island Cottages resort, which is literally on the lake. The entire resort is on stilts over the water. At $60/night, it was the most expensive place I stayed on the whole trip, and well worth every penny. Below is the view from my verandah. Although I'd brought a book, I did nothing but stare at the view in the hours before dinner. When I returned from the dining pavilion after dark, it was to find shallow-bottomed, canoe-like vessels gliding under my cabin. Magical. Have you been to Myanmar since 2012? Has it changed much? Please let us know in the comments below, on our Facebook page, or under a relevant image in our Instagram gallery (@lotusandpersimmon). Leaving Seoul to re-settle in Canada; how Lotus & Persimmon got started.